I have been up and down with this whole Vampire Civil War thing. On one hand, I love Vampires in comics and it got blade on the team. 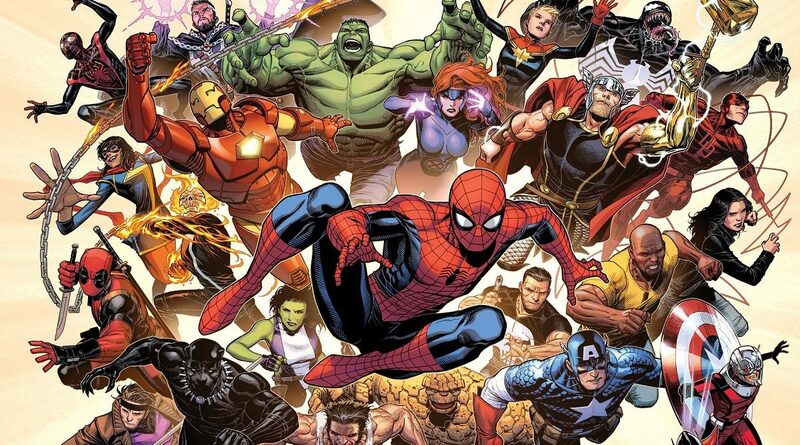 On the other hand, it really doesn’t feel like an Avengers story to me and there isn’t a ton for most of the characters to do. With that said, I was wondering how this would all wrap up as the War of the Realms looms on the horizon. The issue opens in Russia and we continue the thread that Dracula is an old, tired shell of his former badass self. We get a pretty cool Drac narration that brings us up to speed of his history and his thoughts as we see the Winter Guard pretty much think they have taken care of the bloodsucker for good. As the issue progresses, we see that is far from the case. I really liked everything we got in this beginning. The Winter Guard are jerks and while I hate the idea of Dracula being the weakest link in the Vampire world, this setup pays off well by the end. Heading off to the actual Avengers (it is their book, right? ), things got a bit rough. The team gets an “Assemble” panel, but it felt like lip service than an actual team thing. We then continue the fight against the Shadow Colonel’s team and while I have been patiently waiting for some big resolution, this felt rushed in a very disappointing way. Jason Aaron does show that he can write a good Blade, but the fight is overextended and it ends in such a lackluster way that it made me a bit angry. Sure we get an awesome guest star who shows up to make me smile, but really, all the setup was just to end the fight like this? Jason Aaron ends the issue with a huge twist that makes Dracula look like a blood sucking genius while continuing the Robbie Reyes tease from last issue and seemingly making Blade a permanent member of the Avengers. I like all three of those, it’s just that the journey to get them didn’t seem as necessary as I would have expected. This issue was a great Dracula issue, a cool Blade issue, but a bit of a disappointing Avengers issue. I would love to say this book will get back to focusing on the team in the title, but it’s off to War of the Realms tie-in land and who knows what that will bring. David Marquez’s art is good (though it’s been better recently) and there are enough cool moments to keep readers entertained here, but I still would call this issue a let down after all of the buildup. The Vampire Civil War ends with a cool twist I didn’t see coming, but overall, it was a bit of a letdown. Things felt rushed here and after the buildup, I expected more.